ABC thought it had a huge hit on its hands with Battlestar Galactica in September 1978. When ratings began to fall, the network decided to not to renew the expensive sci-fi series. But ABC regretted its decision and resurrected Battlestar Galactica as Galactica 1980 in January 1980. The new series featured few of the original characters and didn’t last long. In late 1977, Universal Television reportedly had a “top secret project” in development for the 1978-1979 season called Galactica. Considered a small-screen version of the Star Wars, it would feature special effects from John Dykstra–the man responsible for the special effects in Star Wars . 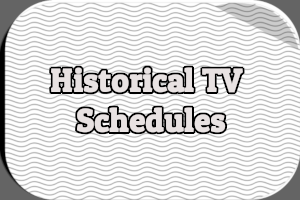 When ABC announced its fall schedule in May 1978, Battlestar Galactica had been given the 8-9PM time slot on Sundays. With each episode costing an extravagant $1 million (compared to the typical $450,000 per hour), there was some speculation that Battlestar Galactica would be a miniseries used by ABC to draw viewers to its schedule at the start of the new 1978-1979 season . But ABC declared Battlestar Galactica would be a weekly series, one lavishly produced. Lorne Greene starred as Commander Adama, leader of a “rag-tag” fleet composed of the remnants of twelve colonies that were all but destroyed during a sneak attack by the evil Cylons. Richard Hatch and Dirk Benedict co-starred as Captain Apollo (Adama’s son) and Lieutenant Starbuck, respectively, a pair of ace pilots. Other characters included Lieutenants Boomer and Athena (the latter Adama’s daughter), Count Baltar (played to perfection by John Colicos), who had betrayed the colonies to the Cylons, and Cassiopeia (played by Laurette Spang), a prostitute turned nurse. As September approached, Battlestar Galactica was seen as a surefire hit, with The Washington Post stating that “the spectacular and refreshingly zippy scifi fantasy will probably be the most watched new series on the air” . According to Newsweek, “ABC has designed what looks like the smash-hit fashion of TV’s fall line” . Creator Glen A. Larson explained that the series was an attempt “to make space comfortable for the Midwest.” Thus, the fighters in the series would have wings and leave vapor trails, however scientifically unnecessary and unrealistic they might be . ABC declared the week of September 11th its official premiere week, with CBS and NBC starting their seasons the following week. As predicted, the three-hour premiere of Battlestar Galactica, broadcast from 7-11PM on Sunday, September 17th, drew a huge audience (despite being interrupted at 10:30PM by the signing of the Camp David Accords) and was the fifth highest-rated program of the week [6, 7]. In my misspent youth, growing up with both STAR TREK and STAR WARS I have to admit that I lapped up BATTLESTAR GALACTICA but as the series got under way I found myself in a quandary over just how silly the show had become and how much of a time waster it was so its cancellation brought no tears to my eyes but I have to admit that the sequel series GALACTICA 1980 did on just how bad it was and just how much people working for the show and networks must hate science fiction. The following week, Battlestar Galactica slipped somewhat, tying with What’s Happening and Vega$ for 16th . By early October, the series was one of four new ABC entries (along with Mork & Mindy, Taxi and Vega$) regularly ranking in the top twenty and winning its time slot week after week . When Battlestar Galactica premiered, its competition in the 8-9PM Sunday time slot was The Big Event on NBC — an umbrella title for miniseries, telefilms and special programming — and Mary on CBS. Mary was an hour-long variety show starring Mary Tyler Moore, the follow-up to her successful Mary Tyler Moore Show. Although Mary premiered to solid ratings on September 24th (opposite Battlestar Galactica‘s second episode and a movie on NBC), it dropped drastically the following week . CBS cancelled Mary in mid-October after only three episodes had been broadcast (a fourth would air just as the cancellation notice was circulating) . In an attempt to restore order to its Sunday line-up, CBS moved its 9-11PM programming (All in the Family, Alice and Kaz) up an hour and moved Dallas to the 10-11PM period. The result: Battlestar Galactica would now face All in the Family on Sunday evenings (along with Alice, but All in the Family was the heavy-hitter). The final episode of Mary was shown on October 15th. Over the course of the next five weeks, Battlestar Galactica met its CBS competition on the field of battle three times and was promptly beaten twice while managing to run more or less even with All in the Family and Alice once . Still, even a diluted Battlestar Galactica still held some ratings strength. 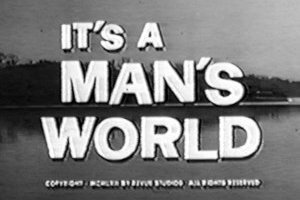 For example, on the evening of November 12th when CBS aired the first part of “The Word” (second for the week), competing programs on both NBC and ABC still finished in the Top 30 for the week: The Wonderful World of Disney tied for 24th and Battlestar Galactica was 27th . However, ABC had invested millions of dollars in Battlestar Galactica (recall that it was the most expensive program on the air at the time) and a third-place finish in its time slot was disappointing. In light of Battlestar Galactica‘s weakened ratings, ABC was left with the difficult question of whether to renew the costly series for a second season. 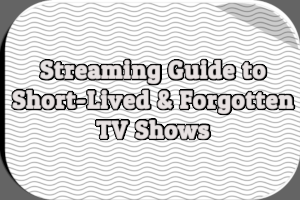 The network didn’t particularly need to keep the series, it was already home to many of the most popular shows (Laverne & Shirley, Mork & Mindy, Happy Days, Three’s Company, etc). And even those involved with producing Battlestar Galactica admitted there were problems with the series. 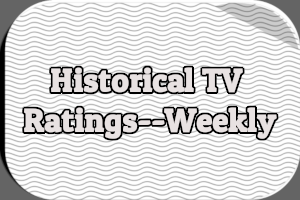 Topping the list was ABC’s decision to turn Battlestar Galactica into a weekly series. As some had predicted in May 1978, the original intent had been to make Battlestar Galactica a seven-hour miniseries. According to Lorne Greene, although the series was originally going to produce a single three-hour episodes and a pair of two-hour episodes, ABC ordered thirteen additional hour-long episodes before the first three-hour episode had been completed . Additionally, Battlestar Galactica‘s production schedule had gotten out of control as the last handful of episodes were being filmed. Shooting didn’t wrap until ten days before the episodes were scheduled to air and, more importantly, editing and dubbing continued until the day prior to broadcast . Bellasario held out hope that the network would give the series a second year. NBC President Fred Silverman, on the other hand, suggested that “if ABC renews that show, that will prove they are in real trouble” . ABC had until mid-April to decide whether to invest more money in what seemed to be a losing proposition. Giving the network pause was the very real chance All in the Family would go off the air at the end of the 1978-1979 season (Jean Stapleton had announced she was leaving the series in January 1979). With that obstacle out of the way, perhaps Battlestar Galactica could regain some of its lost potential. Ultimately, Battlestar Galactica‘s ratings — it went from averaging over a 40 share to under a 30 share in less than two months — and its cost were no doubt more than enough for ABC to realize it was time to pack it in. The fact that All in the Family would be returning in the fall (as Archie Bunker’s Place) was just one more reason for the network to wash its hands of the series . The network officially cancelled Battlestar Galactica on Monday, April 23rd, 1979 . Cancellation should have been the end of Battlestar Galactica. Universal had plans to release a version of the three-hour premiere in theaters during the summer of 1979 in an effort to recoup some of its losses, but otherwise it was over and done with. But then in May 1979, Glen Larson was approached by ABC to produce a two-hour Battlestar Galactica telefilm that would see the rag-tag fleet find Earth . Meanwhile, ABC was anxiously awaiting the start of the 1979-1980 season, to see if its popular Mork & Mindy could take some of the wind out of Archie Bunker’s sails. In place of Battlestar Galactica, the network had moved Mork & Mindy to the 8-8:30PM Sunday timeslot, opposite Archie Bunker’s Place on CBS. It was a rematch of sorts between the two networks, and this time there was speculation that ABC would come out the winner. At first, it appeared as if the two sitcoms were evenly matched. Mork & Mindy‘s one-hour season premiere, broadcast September 16th, ranked 5th (CBS aired a movie) . The following week, the one-hour premiere of Archie Bunker’s Place ranked 17th and knocked Mork & Mindy out of the top twenty . For the next six weeks, the two shows were either in a virtual tie in the ratings. On November 11th, things began to change, and Archie Bunker’s Place pulled ahead, placing 6th for the week while Mork & Mindy was shut out of the top twenty . On November 18th, both shows aired special one-hour programs. Archie Bunker’s Place drew a 27.9 rating and ranked 6th for the week; Mork & Mindy was seven points behind and outside the top twenty . Mork & Mindy never truly recovered and ABC quickly moved to secure one of its formerly powerhouse sitcoms, placing Mork & Mindy back in its Thursday timeslot. The damage had been done. Archie Bunker’s Place would finish the 1979-1980 season in 11th place while Mork & Mindy had to settle for 27th (the previous season, Mork & Mindy had ranked third). 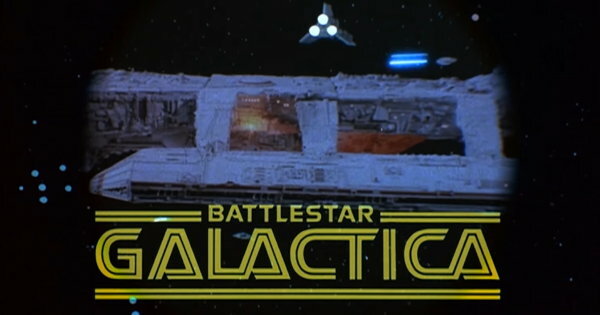 Having already ordered a Battlestar Galatica telefilm back in May, there was speculation that ABC would use the ratings of the telefilm as a test to see if viewers would welcome a return of the series. However, only Lorne Greene and Herb Jefferson, Jr. from the original cast returned for the telefilm, which was soon expanded to three hours and scheduled to air over three consecutive Sundays in early 1980. The telefilm, set decades after Battlestar Galactica, would see the Galactica reach Earth only to discover that Earth’s level of technology was no match for the Cylons. Actors Kent McCord and Barry Van Dyke starred as Captain Troy and Lieutenant Dillon, respectively, characters created to replace Apollo and Starbuck. Robyn Douglass would play Earth reporter Jamie Hamilton, who helped out Troy and Dillon. A new villain, Commander Xavier (played by Richard Lynch and later Jeremy Brett) was added to replace Baltar, along with a child prodigy named Doctor Zee (played by Robbie Rist and Patrick Stuart) presumably to appeal to younger viewers. The limited series, now called Galactica 1980 (or “Galactica Finds Earth”), premiered on Sunday, January 27th, 1980, airing from 7-8PM opposite The Wonderful World of Disney on NBC and powerhouse 60 Minutes on CBS. Now, instead of facing simply one of CBS’s powerful sitcoms, the new Galactica would compete with television’s most popular program (60 Minutes had finished the 1979-1980 season at the top of the Nielsen charts). Additionally, Galactica 1980 would see members of the crew traveling back in time to alter Earth’s past to better prepare the future to combat the Cylons. The premiere episode of the limited series ranked 31st for the week and competing 60 Minutes ranked second . The second episode dropped to 44th place while 60 Minutes rose to first . Despite the less than stellar ratings, ABC was satisfied enough with Galactica 1980‘s performance opposite 60 Minutes to order additional episodes in mid-February for broadcast after the Winter Olympics . The new episodes debuted on March 16th and almost immediately dropped to the bottom of the Nielsen charts . Not surprisingly, when ABC announced its 1980-1981 schedule on April 28th, Galactica 1980 had been cancelled . This time there would be no questioning the cancellation. The final broadcast on May 4th, 1980 saw Dirk Benedict reprise his role as Starbuck. MCA Home Video began releasing episodes of Battlestar Galactica on VHS in the mid-1980s, with additional episodes available during the 1990s. In 1987, Goodtimes Home Video sold a single episode of Galactica 1980 (“The Return of Starbuck”) on VHS. Battlestar Galactica came to DVD in 2003 courtesy of Universal Home Video with a limited edition “Cylon Head” complete series set. A standard edition set came out in 2004. The show was re-released on DVD in 2014. Universal Home Video released Galactica 1980 on DVD in 2007. In 2015, Universal Home Video released Battlestar Galactica and Galactica 1980 on Blu-ray in two configurations. The “Definitive Collection” includes both the original full screen episodes alongside widescreen versions. The cheaper “Remastered Collection” only includes the widescreen episodes. 1 Gold, Aaron. “Tempo People — Tower Ticker.” Chicago Tribune. 13 Dec. 1977: A2. 2 Shales, Tom. “ABC’s Fall Shakeup.” Washington Post. 2 May 1978: B1. 3 Shales, Tom. “Blastoff at NBC for Battlestar Silverman.” Washington Post. 6 Sep. 1978: C1. 4 Waters, F. Harry and Martin Kasindorf and Betsy Carter. “TV Blasts Off!” Newsweek. 11 Sep. 1978: 58. 6 Shales, Tom. “The Time Was Prime For a Pause for Peace.” Washington Post. 19 Sep. 1978: B1. 7 Waters, Harry F. “Season’s Greetings.” Newsweek. 2 Oct. 1978: 77. 8 There is some conflict regarding weekly rankings for Battlestar Galactica; according to a September 28th, 1978 article in The Chicago Tribune, the September 24th episode of the series did tie for 16th in the weeks ratings (“Tempo TV & Radio,” Page A11). However, an article in the November 15th, 1978 edition of The New York Times states that Battlestar Galactica fell out of the top ten in the ratings for the first time during the week ending November 5th (“ABC-TV Still Rated No. 1,” Page C30). 9 Deeb, Gary. “The season’s hits, flops, in-betweens.” Chicago Tribune. 12 Oct. 1978: A7. 10 The premiere of Mary tied for 27th with 60 Minutes for the week ending September 24th; see note 8. 11 “‘Mary’ show is canceled.” Chicago Tribune. 15 Oct. 1978: 24. 12 Battlestar Galactica faced All in the Family and Alice on October 22nd & 29th and on November 19th; ABC pre-empted the series on November 5th to air The Sting and CBS showed the first half of “The Word” on November 12th (from Gary Deeb. “Competition scoring hits on ‘Battlestar Galactica.” Chicago Tribune. 27 Nov. 1978: B10). 13 Deeb, Gary. “Tempo TV.” Chicago Tribune. 16 Nov. 1978: A15. 14 Buck, Jerry. “TV Talk: ‘Battlestar Galactica’ Returns on ABC.” Associated Press. 26 Jan. 1980: AM Cycle. 15 Shales, Tom. “Countdown for ‘Rattletrap Galactica’; Space Cowboys.” Washington Post. 8 Apr. 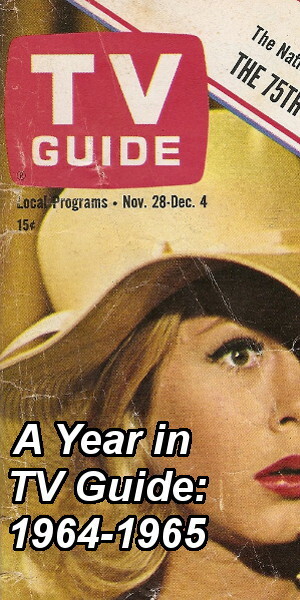 1979: G1. 19 In a March 26th, 1979 article in The Chicago Tribune, Gary Deeb wrote that for the first few weeks of the season, Battlestar Galactica had “captured up to 45 percent of the Sunday night audience” but that since All in the Family and Alice were moved opposite it, Battlestar Galactica had dropped to a 27 or 28 share (“Tempo TV,” Page A11). 20 [No Title]. The Associated Press. 23 Apr. 1979: AM Cycle. 21 Stabiner, Karen. “Can ‘Battlestar’ Ride the Sci-Fi Wave?” New York Times. 13 May 1979: D15. 22 “TV Ratings.” New York Times. 19 Sep. 1979: C24. 23 Jory, Tom. [No Title]. The Associated Press. 25 Sep. 1979: AM Cycle. 24 Brown, Les. “CBS-TV, High and Low In Ratings, Tries Harder.” New York Times. 14 Nov. 1979: C34. 25 Brown, Les. “CBS-TV Tops Ratings On Sunday Night Power.” New York Times. 21 Nov. 1979: C18. 26 Deeb, Gary. “Tempo TV & Radio.” Chicago Tribune. 20 Dec. 1979: A12. 27 Deeb, Gary. “‘Battlestar Galactica’ to re-enter weekly TV atmosphere next fall.” Chicago Tribune. 22 Jan. 1980: A6. 28 Jory, Tom. “CBS Leads For Fifth Week In A Row.” Associated Press. 29 Jan. 1980: AM Cycle. 29 Jory, Tom. “ABC Finishes First After Long Drought.” Associated Press. 5 Jan. 1980: AM Cycle. 30 “CBS Tops Ratings; ABC Shifts Lineup.” New York Times. 13 Feb. 1980: C26. 31 The second new episode, broadcast Sunday, March 23rd, was among the ten lowest-rated programs the week it aired, according to The Associated Press (25 Mar. 1980: AM Cycle). 32 Schwartz, Tony. “ABC Cancels 6 Shows, Adds 4 Comedies for Fall.” New York Times. 29 Apr. 1980: C21. The concept was great, but the dialog and presentation SUCKED! The models were most excellent, but in the end the concept proved out with the new production on the SCIFI channel. I still love Vipers a d Cylon raiders because of the original show. Why didn’t they just move it to another day or time slot, ridiculous. I have never seen Galactica 1980, but Dr. Zee was played by James Patrick Stewart, not Patrick Stewart. I had to look that up, because I could not imagine how Patrick Stewart could play a kid only 13 years before playing Picard, lol! I love Patrick Stewart, but that would be one messed up child prodigy. It’s Stuart, not Stewart. At the time Galactica 1980 was in production, he’s credited as Patrick Stuart. In later years he added James to his on screen credit. I remember the promos for the premier of episode of Galactica 1980. The voiceover said the Galactica finds Earth, but discover the Cylons have found it too. The visual showed the Cylons attacking and destroying downtown Los Angeles. Actually, it was a scene of Cylon fighters superimposed over the destruction of Los Angeles from the 1974 disaster movie “Earthquake.” Nevertheless, based on the promos, I assumed that Galactica 1980 would be a War of the Worlds themed series. To say that I was bitterly disappointed when I viewed the premier episode would be an understatement. It turned out that the “attack” on Los Angeles, so prominent in the promo, was just a “simulation” cooked-up by Dr. Zee to show the Galactica survivors what could happen if they ever allowed the Cylons to reach Earth. Obviously, I tended to disregard the promos for all future episodes. I always felt “The Return of Starbuck” was a holdover from season 1. And I seem to recall a version where there was no starchild or woman, just Starbuck and a cylon with Starbuck escaping the planet much like they did with the remake..
Today, April 23rd 2019 marks the 40th anniversary of the cancelation of Battlestar Galactica. I really loved that series and thought it had a great concept with complex back stories that could have really been expanded on had it been able to continue. But alas, it was not to be. 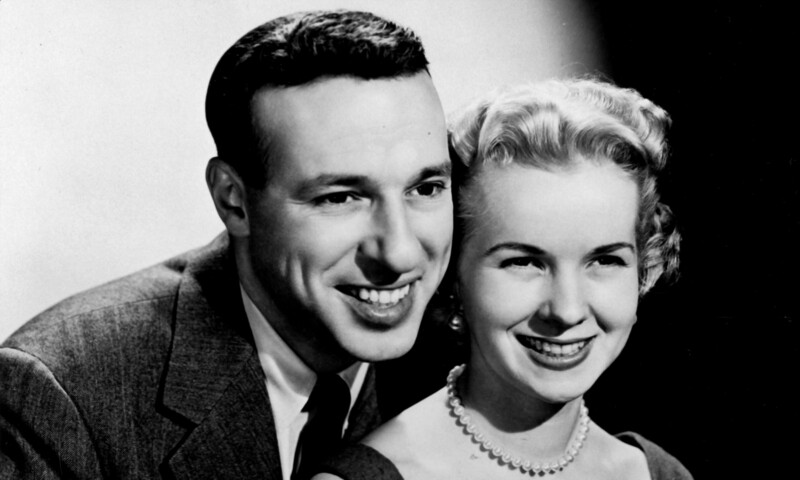 Thank you Television Obscurities for a very information and well done article! Informative. I hate that ducking spellcheck!!! !